Life seems to be flying by these days. We fill our daily lives with so many activities that we don’t have enough time to just relax and enjoy. We become expandable, giving to our jobs, to our families, to our pets, to the community, or any other number of activities we get involved with. 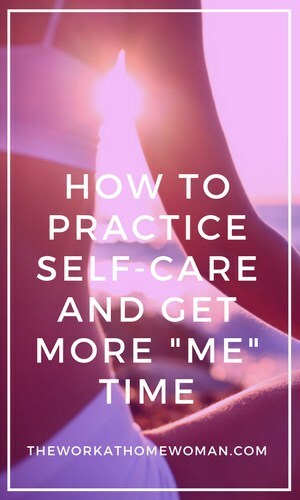 Self-care is one of the most important, and basic, activities that one can do. It is vital to our self-esteem, our confidence, and it gives us the ability to focus on areas that are important to us. Self-care is critical to our physical and emotional well-being. When we give more of ourself to others, it says that we are not as important; over time, it can lead to resentment and frustration. If not addressed, emotional problems can develop, such as anger, anxiety or depression. Health-related problems can also occur. If self-care is so critical, why is so difficult to do? Why are some people unable to say “no” and set good personal boundaries for themselves. A lot depends on our emotional type and the coping skills that have been imprinted on us. “Emoters” are those who feel every emotion and have empathy for others; they are the helpers but often forget to help themselves. “Guiltriddens” want to make up for a wrong they believe has occurred, regardless if they caused the wrong or not, and will overcompensate. “Saviors” feel they need to save others from adverse situations; they want to prevent others from “walking through the trenches” and feel it is their obligation to do so. “Good Ones” have been put on that perch by others who feel they are the stars of the family which causes them to feel they must do more, be more which is exhausting. “Insecures” don’t highly value themselves, so it feels easier for them to focus on others to avoid facing, or placing importance, inside. All of these emotional types have one thing in common: they expend and focus externally but cannot internally. It is possible to work with your emotional type to be more effective in your life and to set boundaries that can release you from your guilt and set you free. Your frustrations, stresses, anger, sadness, etc. ; self-awareness is the key to changing behaviors. Take up journaling to capture these emotions. Thoughts are not real but the perceptions we make them, either big or small and you can let them go. If you feel guilt, review the incidents of an event to see if you really were responsible and if there was any other outcome possible. Which is not forgive and forget or saying it is “okay” with what another did; it is about releasing the negative feelings of what happened. Husband, kids, home, work, friends, church, etc. You can’t fix what you don’t know! See what is crucial and what can be let go; this is time to learn the art of delegation. Which ones give you a sense of relaxation, peace or that energize you. Examples include: exercise, yoga, meditation, reading, prayer, singing, dancing, or gardening; perhaps you’ve wanted to learn photography or cooking. To help you develop the life you want; picture those five minutes to yourself, with the kids or husband entertaining themselves and enjoying it! If this is difficult, think of the disservice you are doing to the other person by making it easy for them. Changing behavior takes awareness, clarity, and consistency so keep at it. Hold on to the benefits you are receiving. It may seem hard at first but the more you practice these steps, the easier it will be to living an emotionally free life – more aware, more secure and more confident. 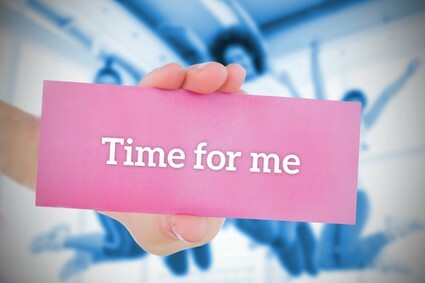 Me time will become a habit, not a luxury! Dr. Barbara Seifert, LCSW, CPC, is the President/Owner of Committed to Your Success Coaching & Consulting, who helps people to understand themselves better and to make behavior changes that can lead to individual and organizational success. Services are aimed at increasing personal and professional development and enhancing organizational wellness through coaching, training and EAP services. Focus areas include careers and career management, the multi-generational workforce, and workplace health and wellness. Barbara is a certified coach, a licensed psychotherapist and an adjunct professor. She has been featured on Channel 6 in Orlando, abc7 in Lost Angeles and the Wall Street Journal. To learn more, visit www.cyscoaching.com. Great article, some really practical advice in there, and hey! We all need a little more ME time. I spend a lot of my time with my female clients helping them re-prioritise and set aside time for themselves. The biology of women is different to men (whether we want to admit it or not!) and too many sacrifices on the home and self care front tend to turn into cracks then chasms later on. I love my Virtual Assistant – they help me remember when to stop and chill out plus handling alot of the minutia that comes with business buys me more ME time. Bring that on! Thanks for all your help. Nice job on the article. I look forward to seeing you next week. Also, I wanted you to know that I have an extreme sense of relief because I have committed myself to ending my relationship with Dallas. I know I will be a much healthier, happier person. And of course, I will continue working on improving myself and realizing my potential. I have the attitude that I will do very well for myself, and that all areas of my life will continue to improve. Absolutely love this woman and her articles!!! Awesome advice. Just been going through this myself and happy to see that I am on track! Blessings, Celene Harrelson, The Happypreneur!